Caller: Hi, Brenda. What I’d like to know is, did you know or have any idea that he had tried to make an agreement, you know, bargain with the prosecution before they found Danielle’s body? And I’m really sorry for your loss. B. Van Dam: Thank you. Actually, the plea bargain was in progress when they found Danielle’s body, so Feldman (ph) and Boyce (ph) were actually standing in front of Paul Finks (ph) trying to cut a deal and they found the body and Sergeant — Jim — Lieutenant Jim Collins (ph) actually was at the site identifying the body and he called Paul and said, We found Danielle and that’s when they decided not to cut a deal. September 2002, the morning after the jury for the David Westerfield case recommended the death penalty, Damon and Brenda Van Dam held a news conference at La Jolla Shores in San Diego. In front of cameras, the couple said they knew nothing about an alleged plea bargain agreement that Westerfield’s defense attorneys had supposedly tried to secure —- the location of Danielle’s body in exchange for life in prison —- soon after Westerfield was arrested. 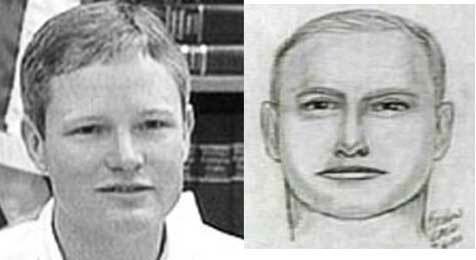 According to the San Diego Union Tribune dated September 17th 2002: Feldman and Boyce were at the downtown San Diego jail with Westerfield when volunteer searchers found Danielle’s remains beneath trees along Dehesa Road east of El Cajon. My comments: How did Feldman and Boyce manage to be at the downtown San Diego jail and standing in front of the D.A. Paul Pfingst at the same time? How does Brenda, who didn’t know anything about a plea bargain on September 2002, manage, on December 2002, to talk about it as if she was in the room with Feldman, Boyce and Paul Pfingst at the time of the alledged deal? Larry King: Do you have any feelings of guilt? I should have left the door open? I should have done this? I shouldn’t have gone out? B. Van Dam: You can always second guess yourself to death. I’ve done it. I’ve done it many a nights. I think the hardest thing for me was the fact that I walked up that night and I closed their door. We sleep with our doors open. When I closed Danielle’s door I had this strange feeling and I didn’t know what it was. And I closed the door anyway. And I went to Derek’s and closed his door. So, yes, you can sit back and you can think that night, I wasn’t really even supposed to go out with my friends because Damon was going to be out of town. It just so happened that he was in town and he said, Go have fun. I did it. I feel guilty for that. My comments: What kind of feeling did Brenda have when the alarm went on twice that night and that neither ever checked on any of the kids? Larry King: Did you ever think of this when you saw — before anything happened to Danielle when you would see others come on television shows like this and you’d see fathers and mothers. Did you ever think of being in — ever think any harm could come to your children. B. Van Dam: No. I think it’s a 1 in a million chance that it could happen to you. Larry King: So you don’t think about (unintelligible). B. Van Dam: I kind of wished I played the Lottery that day to tell you the truth because maybe it was my day to win the Lottery. Who the heck knows? But I just — every time I would see something like this happen, it was devastating to think that there were children out there who were being abused. Those videos of mothers hitting their children. It shocks me. Larry King: Last call. Old Orchard, Maine, hello. My comment: Don’t we wish we had played the Lottery as this day was such a lucky one? 2 - Who is David Westerfield ?